In the second of this week’s 12-inch miter saw reviews, we’ve got another superb sliding compound for you, this time from the industry heavyweight Kobalt. If the name rings a bill, this manufacturer produces the power tools used in NASCAR. With two decades in the hardware trenches, Kobalt are renowned for solid and dependable tools that don’t hit you too hard in the pocket. This is becoming a rare combination these days. 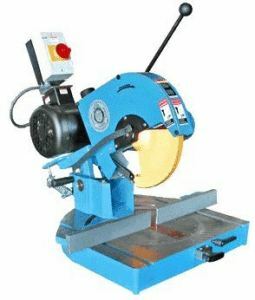 If you need to cut substantial workpieces on a regular basis, a 12-inch miter saw is worth its weight in gold. With its heavy-duty 15-amp motor and engineered to an extremely high standard, the Kobalt is equally at home in the workshop or out on the job site. 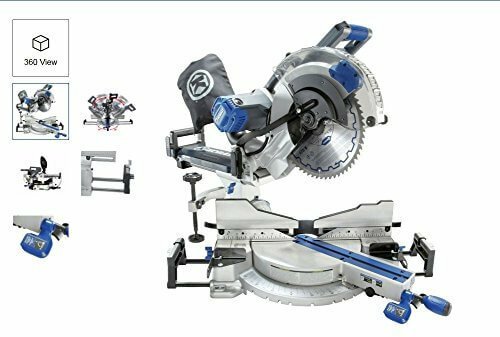 Delivering a brisk no-load speed of 4200RPM, the Kobalt is a sliding compound miter saw so you’ll be able to cut confidently in either direction. You can miter from 0 to 50 degrees to the left and from 0 to 60 degrees to the right. A neat lock lets you flick between angles without too much tinkering around. Bevel capacity is 0 to 47 degrees in both directions. The dual bevel movement is smooth and there’s a plastic-covered lock nut at the rear if you need to adjust this at all. There are a series of positive bevel and miter stops but Kobalt don’t disclose further details, merely stating that they are at the most frequently used angles. These stops are solid and fit closely but allow adequate movement. 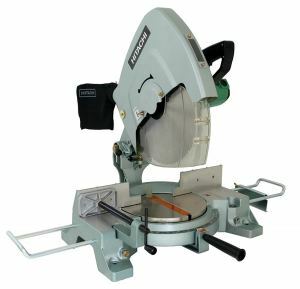 While they offer up the 90-degree miter capacity as a 12-inch board, again there is no other information forthcoming. The 45-degree miter capacity is not listed at all. Beveling in either direction is a real bonus and the front-locking control is a nice touch rather than being forced to reach behind as on many competing saws. The bevel markers are fit for purpose but might need a little alteration. If you want to deal with longer workpieces, you’ll appreciate the quick-release wings that extend to give you all the support you need. There’s a clamp with rubber feet to prevent any scratching or scuffing and there’s also a quick-adjust feature to speed things up. Unlike with many miter saws, the stock blade is outstanding. The 12-incher with 60 carbide-tipped teeth will slice through even hard materials without feeling strained. A spindle lock lets you make rapid blade changes. Build quality is first-rate which is no more than you would expect from a brand with Kobalt’s heritage. 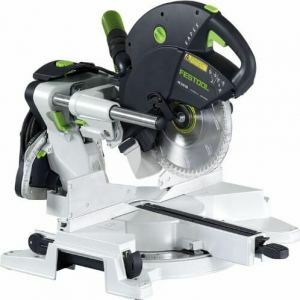 With a rugged fence and heavy base fashioned from aluminum, durable components and oversized control knobs, everything feels like the saw should cost much, much more. Although you’ll enjoy a laser guide, many users have reported this to be off upon arrival, often by quite some margin. We’d like to say getting this aligned is straightforward but it can be a tedious process of trial and error. Bear this in mind if you intend to move the saw around a lot as this might be a deal-breaker for contractors on the move. All miter saws are prone to generating lots of dust and the Kobalt is no exception. There’s a 2 ½-inch port so you can hook up your shop vac or a dust bag. Even with this in place, we’d still advise wearing a dust mask when you’re operating this miter saw but that’s fairly standard practice anyway. Buying a 12-inch miter saw is not a decision to make on a whim. 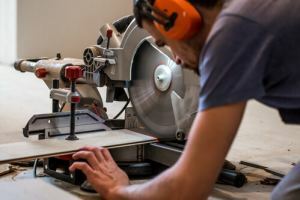 Once you’ve decided that a more substantial saw makes sense for you, whether you’re a home woodworker or contractor, you need to think about its intended purpose and make sure you get something man enough for the job. The Kobalt bridges the gap between cheaper miter saws that stiff you on the accuracy or power front and the much pricier pro-grade miter saws that might be excessive for your needs and budget. If you’re looking for a winning mixture of dependability, durability and you’re not prepared to sacrifice performance or precision, we’d strongly recommend road-testing the Kobalt. 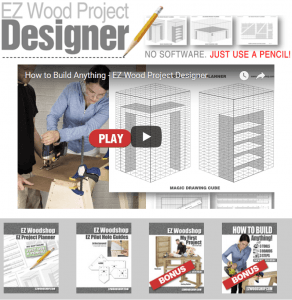 While it’s garnered no reviews as yet on Amazon, the feedback on woodworking forums and user review sites is almost entirely positive. Road test the Kobalt today and start making some ambitious cuts tomorrow! Where can I get parts for my SM3055LW? Need dust bag, elbow, and blade wrench. Thank you for any help you can provide.